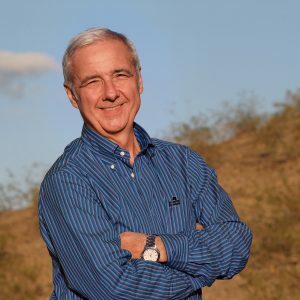 The members of the Ecological Society of America have elected Osvaldo Sala – founding director of Arizona State University's Global Drylands Center – to a three-year term on the ESA governing board. Sala will assume the role of president elect in August 2018, president in 2019 and past president in 2020. Sala is a professor in the School of Life Sciences and the Julie A. Wrigley Chair in Life Sciences and Sustainability in the School of Sustainability. He founded the Global Drylands Center in 2017 to engage key stakeholders in dryland stewardship and develop solutions for arid ecosystems around the world. Of over 100 previous ESA presidents, Sala will be the first Hispanic person to hold the position. Founded in 1915, the ESA is a nonpartisan, nonprofit community of more than 9,000 scientists, researchers, decision makers, policy managers and educators who are dedicated to understanding life on Earth. It is the largest community of ecologists in the world.